The more we find out about our genes, the more fascinating our potential becomes. It’s important to realize that our genes don’t control our lives. In fact, in many ways it’s the opposite. There are thousands of things we can do to influence our genetic expression. And that’s where the real adventure begins. Today you’re going to discover some little known facts about your genes that might just change your life forever. You see, even though we humans have upwards of 20,000 genes we share collectively, some of those genes can misbehave. Our normally clean, well-functioning genes can get “dirty” and lead to some serious health issues as a result. Diseases aren’t just a collection of symptoms that appear on the surface. Diseases are usually rooted in problems all the way down at the level of your genes. And it should make perfect sense, right? Your genes are essentially determining which “copies” out of you are getting printed out. If the you genes are dirty, those copies can end up being pretty crumby. 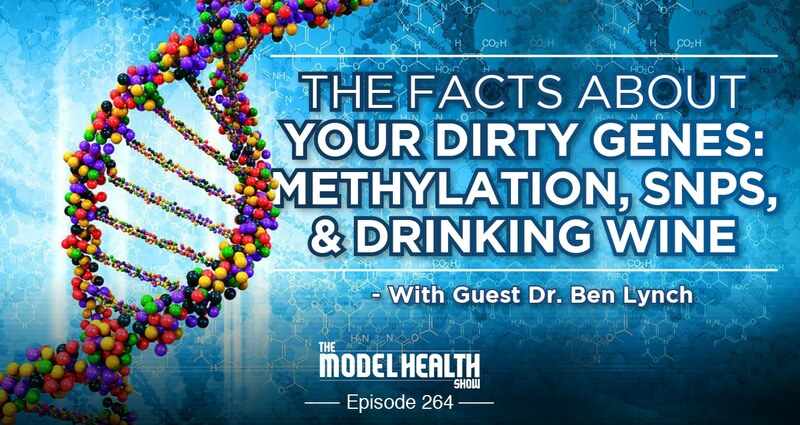 So, in this special episode we have on the foremost expert in the world on dirty genes, Dr. Ben Lynch. Just sit back, take good notes, and find out how to clean those dirty genes! How a young medical student became fascinated with Ayurvedic medicine. How your genes actually work. Why some genes are more static than others. How clean genes can actually “act dirty”. What SNPs are and how they control our health. What the Super 7 Dirty Genes are. What methylation is (this is crucial!). The best lab test to take to check your methylation efficiency. Why dirty genes also have certain strengths and evolutionary advantages. How to assist your body in processing wine (if you’re trying to get your sip on). Whether or not it’s necessary for you to get genetic testing done. Why there’s not one perfect diet for every person. The universal principle every diet should have in regards to how much/how frequently eat. Why you need folate and the critical difference between folate and folic acid (you need to know this!). Why sleep plays an important role as in epigenetic trigger. The number one thing you need to do to detox from things that dirty up your genes. Have you ever thought about where diseases actually come from? Have you ever thought about where health comes from? You know, what's controlling all of this stuff behind the scenes? What's determining whether or not a person would come down with something like heart disease, or diabetes, or have a stroke, or a heart attack, or something of that nature? What determines whether or not we're fit or we're struggling with our weight? What's determining whether or not we have great energy, and vitality, and focus, and all these different things, these different of flavors of life that we can be experiencing? Well behind the scenes at the very root of all of those things and more is our genes. Our genes are what are controlling what's happening with our health, what's happening with our energy, and even our personality on many levels. But here's the rub; your genes are not just randomly controlled in doing these things. There is something above your genetic control, it's the field of epigenetics, that is determining whether or not certain genes are getting expressed, alright? And today we're going to dive in into this topic, and there's a euphemism for malfunctioning genes called dirty genes, alright? Dirty genes. I'm not talking about the new fashionable thing where the jeans you buy, the jeans already look dirty with the holes and that kind of thing. I remember when I was a kid like I would be so irritated if my mom was like, 'No, you have to wear those pants to school,' and it got the holes in the knees. I was like, 'I know I did it, but I can't wear these, Mom.' Now today we buy them like that, right? We buy them like that. I'm not talking about those dirty jeans, I'm talking about the dirty genes that many of us are expressing today, and I've got the best person in the world to talk about this subject who's been studying these dirty genes for many years, and kind of encapsulating, putting this information out to the public so that we can find out what's going on behind the scenes. Which genes are causing these issues of depression, or anxiety, or obesity, and how can I clean these genes up and get them to do the right thing, alright? Because as you're going to learn today, each of your genes has a tremendous amount of different possibilities of their expression, alright? Just because you have a faulty gene does not mean that it is going to determine your life and your health, and I want you to know that. Before we get to our guest today, I want to give a quick shout-out to our show sponsor, Organifi. Listen, you have to get a green superfood blend. Every person- the whole vitamin supplement thing, as you're even going to discover today, there are certain things in these synthetic vitamins that can cause health problems, alright? Directly that can prevent your genes from actually doing their appropriate jobs, alright? And that's what you're going to find in a lot of those kind of over-the-counter 'vitamin' supplements. Alright? We need to get our concentrated nutrition to really address our nutrient bases from whole concentrated foods, specifically what we know as superfoods. And that word has been thrown around and used pretty loosely, but let me tell you one of the- just one of the ingredients that's in Organifi, which is moringa. Alright? Moringa. Moringa has seven times for vitamin C than oranges, alright? Orange is known as like this super vitamin C food; seven times more. Yeah. Seven times more potassium than bananas. Two times the amount of protein that's contained in milk. And also, milk is known to be this super calcium food, alright? Got to get your calcium, got to drink your milk, get your mustache, right? No. No, listen, milk is considered to be a high source of calcium, but moringa has four times more calcium than milk. Four times more vitamin A than carrots, alright? Need I go on? This is a true superfood in every sense of the word, and this is just one of the ingredients that you find in Organifi. Alright? Also spirulina, chlorella, ashwagandha. But here's the thing, it actually tastes good. With all these different green superfoods blended together, how can we make it taste good? That's what they figured out; the formula is fantastic. You know, they tried Company X, like the random different green blends out there, and they just- they might have had some good stuff in there, but they taste le nasty, alright? That's how you say 'nasty' in French, alright? Le nasty. Organifi tastes phenomenal. And my son who recently- he's recovering now, he's finally in just a brace, he's out of his boot, out of the cast. He broke his fibula, alright? He broke his leg, and he's been knocking down the Organifi like a champ. And like the acceleration of his recovery and what he was able to do in physical therapy so quickly, like it's kind of blowing us away, you know? Just to see him doing this stuff so quickly, and this is really- and it just correlates, I'm not saying it's a causation, but correlation, he started to really get on the Organifi and taking it up a notch. www.Organifi.com/model and you get 20% off. 20% off their green superfood blends, their Organifi green drink, they've got a red drink. I'm telling you, 20% off everything that they have exclusive. Go to www.Organifi.com/model, that's www.Organifi.com/model and you get 20% off everything. Alright? And on that note, let's get to our iTunes review of the week. ITunes Review: Another five star review titled, 'I feel a change,' by japeterson6. 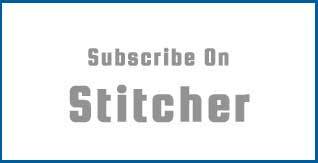 'I have never listened to podcasts before, and decided to give them a try because I was bored of sports radio. I stumbled upon this show by accident, but in just three weeks I've listened to the first 62 episodes, and I can't slow down. Shawn Stevenson: Wow, that is so awesome. Thank you so much for taking the time to share that with me, and please know the best is yet to come. And you are just stacking conditions in your favor, and success is imminent. And again, thank you so much everybody for heading over to iTunes and leaving us these reviews. Please keep them coming! If you've yet to leave a review, please pop over there and do so. And on that note, let's get to our special guest and topic of the day. Our guest today is Dr. Ben Lynch, who received his Cell and Molecular Biology Bachelor's from the University of Washington, and his Doctorate in Naturopathic Medicine from Bastyr University. His passion for identifying the cause of disease directed him towards nutrigenomics and methylation dysfunction. Currently he researches, writes, presents worldwide on the topic of MTHFR, methylation defects, and genetic control. You many learn more about Dr. Lynch and his work over at www.DrBenLynch.com, and also Dr. Lynch is the President of www.SeekingHealth.com; a supplement company oriented towards disease prevention and health promotion. 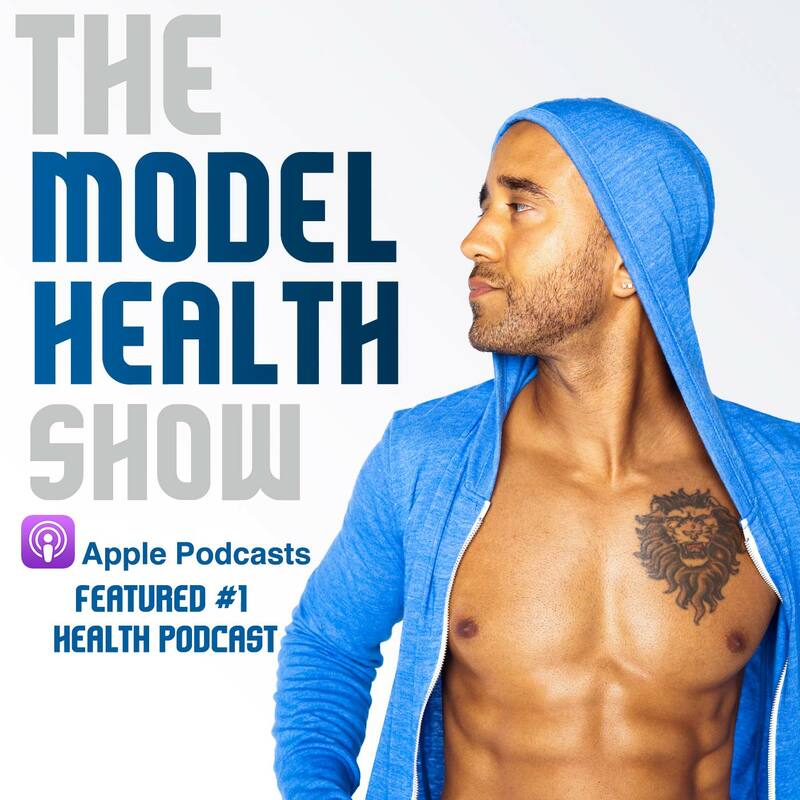 He lives in Seattle, Washington with his wife and three sons, and now he's on The Model Health Show, Dr. Ben Lynch. How are you doing today, Ben? Dr. Ben Lynch: Excellent, pleasure to be here, Shawn. Thanks for the invite. Shawn Stevenson: I'm so happy to have you on, and I was lucky enough to get your book face-to-face when we both spoke at an event recently in Vancouver, which was really cool. So it was great to see you there. Dr. Ben Lynch: Likewise. That was a phenomenal event, and you definitely had to struggle through some technical difficulties, but you managed them exceedingly well. Shawn Stevenson: Oh yeah, see people don't even know about that stuff. Like I came out, and I was the only speaker whose slides didn't work, and my slides were dope. But you know, I had to push the host off the stage, who's a good friend. I was like, 'Man, I've got this,' and so I just freestyled it, and it turned out- everybody had an amazing time. So I think it definitely took the event up a few notches. Dr. Ben Lynch: It did. It did. Shawn Stevenson: Well man, your book was fascinating. I immediately started reading it on the plane, and almost got through the entire book just in my travels. And I've got some incredible questions for you, but first I want to know what got you interested in health and wellness in the first place? Dr. Ben Lynch: Well I think, you know, there's always a personal reason to this, and for me there was one. And I grew up in a traditional family. My mom was a retired Obstetrician / Gynecologist MD, and my dad was a high power trial lawyer, so I had that professionalism around me all the time. And I was treated with standard all the time, and it kind of worked, kind of didn't, but what really got me into it was when I got sick in India, and who doesn't get sick in India? So when I was sick over there, I was introduced to herbal medicine, Ayurveda. Dr. Ben Lynch: And then I decided to pursue that even more, and then as I did, I learned about naturopathic medicine. As I did that, then I learned about environmental medicine, and genetics, and just keep going. I love the constant pursuit of optimization. Just keep climbing that ladder, keep trying to do better, know better, and to understand how we work because if you understand how you work, then you know how you can fix it, and if you can fix it, you can climb the next step. Shawn Stevenson: I love it. I'd love to know a little bit more about why naturopathic medicine specifically. Dr. Ben Lynch: Yeah, that's a great question, and that caused a lot of conflict with my parents, I'll tell you. Dr. Ben Lynch: Yeah, so I was premed at the University of Washington, Cell and Molecular Bio, I mean I was on med school track. And I took- after my junior year, I took the year off to travel the world because I wasn't really confident I wanted to do that. And in my travels, that's when I learned about Ayurveda, and I was really sick, and Ayurveda really got me better fast without any weird side effects or just the groggy issues that you can get from meds. And then I started using nutritional therapies, and supplements, and changing my lifestyle, my diet, and I realized that naturopathic medicine, that's what they do. They understand who you are, and they work with you as an individual, and I went and saw a naturopathic physician for the first time, and he ran labs I'd never seen before. He was like looking at my poo, and sent it for a lab test. And I remember putting my poo in a bag on his counter, and they shipped it off to some lab, and I was like, 'Man, this is gross.' But what came back was tremendous information that, you know, empowered me to change my diet even more. So that's why I chose naturopathic medicine, because to me, it really gets down to the root of the problem instead of palliating symptoms of acid reflux and depression with meds. It doesn't work. Shawn Stevenson: Well so your latest research is centered around the healthy function of our genes. So let's start with a conversation about what genes actually are, first of all, and what role do they play? Dr. Ben Lynch: Yeah, that's a great important question, and it's a tough one to answer, you know, keeping it simple. But basically a gene is information that our body needs in order to print something. So we have to understand that genes do work, and they're called upon when there's work to do. So if we have a stressful event, our genes will produce neurotransmitters for- you know, so we can think and get the heck out of the way from that tiger. Genes will support us by eliminating chemicals and toxins, but they basically are the information that our body has that's inside of our cell, and they do not do work unless they're told to do it. So these genes have a boss, and we're the boss. So if- your genes don't just randomly print stuff without input, and so they're stuck way in the bottom, basically think of them in the basement. They're in the nucleus of your cell, which is surrounded by all these other things inside the cell with the cell membrane, but on top of that cell membrane are receptors and little antennas, and they're sensing the environment. You know, the blood, and the water, and the flow of your body inside. And those receptors will bind things, and grab them, and send in signals down to your genes, and the genes are like, 'Oh alright, you called upon me, I'm going to print it out.' And they help you get stuff done. And yes, there are genes for eye color, there are genes for hair color, and those are static. Alright? Those don't really get called upon much. Those get called upon during development, and they're done. But what I really want to focus on is the genes that we can empower through our lifestyle, diet, and mindset, and our environment. And those are the genes that we can call upon and trigger all the time. I mean we can't change our hair color by our mindset, right? I mean that doesn't work. But yes, from our mind alone, that would be an incredible feat. So I want to ask you about the concept of genetic determinism. Right? Genetic determinism; essentially that genes control our lives. So what do you have to say about that whole theory of genetic determinism? Dr. Ben Lynch: Well that's what I thought. I mean I remember sitting first quarter, first year in med school, sitting in the chair and we're going to watch this video on genetics. So what happened is I realized that that's not the case, and genetic determination is- yeah there are some genes which are very strong and you can't overweigh them, like if you're a celiac, you're going to be intolerant to gluten your whole life. That's just how it is. And there are genes such as hemochromatosis. Your iron levels are going to climb up, and that iron level is going to cause inflammation so you can just go to your doctor and check your serum ferritin levels, and if your serum ferritin levels are really high - that's your measure for iron- you give blood the rest of your life, and you reduce your consumption of red meat, and that really helps. But those are genetic determinants of traditional diseases. You know, cystic fibrosis is another one. But I'm talking about anxiety, depression, bipolar, not being able to fall asleep, ADD, multiple cancers; these things you're not genetically predetermined for. You are the one in the driver's seat to see how well you are going to be treating your body, and respecting your body, and giving it the appreciation it deserves. Because man, you get one body for your whole life, and if you treat it right, it's going to treat you right. Shawn Stevenson: Absolutely. I like to give people the example of just kind of thinking about, 'Were you born with it?' Like literally, were you born with cancer? And if you weren't, then something happened, right? There was a genetic program that was expressed at some point. Something happened and triggered the expression of this particular gene or set of genes, right? So I want people to really think about that as far as like is it a true kind of 'birth defect,' or this genetic mutation that you start off with? And even those, there's so much that we can do today to help to kind of nullify some of their negative effects. Because oftentimes, mutations are something that helped humans to survive in some form or fashion, as crazy as it sounds, with these weird different kind of things like sickle cell anemia, or something of that nature, you know? And again, we're still trying to figure a lot of these pieces out, but one of the things that you've been studying, and that I'm- you know, for about ten years now, I've just loved this field of nutrigenomics, and looking at how just specific nutrients can affect your genetic expression. Like there's so much influence that we have and how we're in the driver's seat. So I want to ask you, with all of this potential genetic variation that we have as human beings, how many genes do we actually have? I want you to share that with everybody. Well there's about 19,000 others that are working also in your favor. Shawn Stevenson: Right. You know, and also I think a lot of people think- and I know that I did, because like if you look at the studies and you see how many genes like a fruit fly has, for example, in some instances we have other species that seem to be less complex that have more genes that us, that have more genetic variation than us, being the most kind of complex evolved species on the planet, as we like to think, you know? What creates so much variance in the appearance, the health, in the attitudes of so many different humans, is that we have potential genetic expressions of each of the genes. So we might have around 20,000 genes, but how many potential different expressions of each of those genes do we have possible? Shawn Stevenson: And I would think that, you know, in looking at the research and when you combine all this stuff together, and you talked about this in your book, that one gene- influencing the expression of one gene is going to influence the whole system, right? And one gene alone can have 18,000 variations to it. Correct? Dr. Ben Lynch: Yes. Yeah, one gene can have thousands and thousands of variations. And then- you know, because one gene, depending on the size of it, one gene can be thousands and thousands of DNA base pairs long. And within that one gene can be multiple DNA bases that are different than standard population. But that doesn't mean that it's going to be completely dysfunctional or better, it means that it's slightly different, and you need to take into account what is it going to do? You know, is it going to speed up its job, or is it going to slow down, or is there going to be no change? So yeah, there is a tremendous amount of variation in each gene. And so that gets us into the conversation about this concept you're really moving to the forefront of dirt genes, alright? Dirty genes. So what are dirty genes? Dr. Ben Lynch: They're genes that are not performing at their best, or they are genes that are trying to perform their best but you are dirtying them up, and you're dirtying them with heavy metals that you're consuming from the water that you're getting. You're polluting them with a bunch of work to do because you're stressed out all the time, and your dopamine norepinephrine is just stockpiling up, and these genes have to handle all of that. And as they're processing it, they have to use vitamins and minerals to get these neurotransmitters out, and you're not taking those vitamins and minerals because either you don't think they're important, or they're not in your food because food is so processed. Now other genes step up. Now these other genes are thinking, 'Oh this guy is not working very hard,' and now they have to try to step up and they run out of vitamins and minerals. So basically a dirty gene is it's trying to do the work for you, but it can't because of the lifestyle, your diet, your mindset, the environment is so polluted, or the food that you're eating is not conducive towards supporting your genetic function. Because at the end of the day, we talk about genetic expression, well genes cannot express themselves when they're very- you cannot see the beautiful grain of wood that can be on your table, or a piece of art if it's covered in dirt. Once you wipe it clean though, those grains can start appearing, the artwork can start appearing, and beautiful things can happen from that. So the whole concept of dirty genes is they get dirty, yes, by what we do. But the beautiful thing is we can clean them up if you know how. Shawn Stevenson: Love it. Love it. And also in the book you talk about there's two types of dirty genes; born dirty and act dirty, alright? So even if you're born with a healthy set of particular genes, they can act up if we're not abiding by some of the things that we're going to talk about today on the show that you feature in the book. So this gets to the conversation about SNPs, alright? SNPs or 'snips.' What are SNPs, and how many SNPs have we identified thus far? Dr. Ben Lynch: SNP stands for single nucleotide polymorphism, and what that means is as we talked about earlier about how long these genes are, I mean they can be thousands of DNA base pairs long, and then we talked about how there can be variation along those genes. Well those variations can be SNPs. So a DNA base is a nucleotide, right? It's- well nucleotides make your DNA bases. And they can vary, and if they vary, then the function of that gene may vary, or it may not. And there are- gosh, on average there's probably about 50,000 SNPs in each one of us, and combined as a species they're talking about 1.4 million SNPs, and that number is probably going to keep growing as research keeps developing, evolving, and looking into it. But yeah, there's over a million SNPs and each one of us has tens and thousands of them. Shawn Stevenson: This starts to get really to the awareness of how we're all so different, and how we can experience such a wide range of health just even in one lifetime with us as human beings. And it's so fascinating, and this really boils down, what we're experiencing in our lives has to do with our gene pool- what our genes are doing at the very core of it. So let's talk about some of the specific dirty genes, and some of the effects that we may be seeing in our lives. And in the book you cover the Super Seven, that's what you call them, the Super Seven. And so let's talk about what some of these dirty genes are. Dr. Ben Lynch: Yeah, so the Super Seven genes- you know I was asked to pick seven genes out of 19,000, right? So how do you choose seven genes out of 19,000? Well the criteria is they have to be very, very well-researched, they have to be very actionable, you don't need expensive testing- lab testing to see if they're dirty or not, and they have to be common. So all of these were the requirements to be selected, and they have to make a very significant impact in the individual's daily life. And so these Super Seven have to do with your cardiovascular system, your brain health, how you think, your ability to eliminate chemicals, your ability to make those cell membranes that protect every single one of our cells, and another one is called- supports our methylation pathway which does multiple other ones. So basically the seven genes are MTHFR, which supports your folate, which a lot of people know about folic acid, but folic acid is what not- you should not be consuming folic acid; MTHFR is one reason why, and we'll get into that possibly, but it's welldescribed in the book. There's COMT and MAOA, which have to do with your dopamine, your norepinephrine, your serotonin, and your melatonin. So you might know those as adrenaline and noradrenaline as well; the stress neurotransmitters and the ability to think. And then you have your PEMT which supports your liver health, your cell membrane health. Some people have fatty liver in SIBO, this is connected to that, and pregnancy issues, recurrent miscarriages is associated with this as well. Then we've got NOS3, sometimes called NOS3. Some people might be taking nitroglycerin, they might be taking medications for erectile dysfunction, and if they are, then this gene is dirty and nitric oxide synthase 3- NOS3 is a big, big player in health. And it's- I mean number one disease causing- number one associated cause of death for women is cardiovascular disease. So NOS3 is super important to hit. And then we have DAO, and DAO processes histamine in the gut and other places, and if you're not processing histamine in the gut, you've got leaky gut syndrome, you've got intolerance to multiple foods, you have headaches, insomnias, itchy rashy eczema, psoriasis, you name it. There's many, many symptoms and doctors do not understand this one and you can go decades without being diagnosed. Shawn Stevenson: Wow. Wow this is already just kind of- you know, a lot. It's a lot to process for folks, and many of these things I'm assuming a lot of us have not heard about yet. But you've also got GST/GPX. Dr. Ben Lynch: Oh yeah. Shawn Stevenson: Is that the same thing or are they a little different? So they have to do with glutathione, so we had to keep them together, so it's really the Super Eight, but Super Seven sounds way better than the Super Eight. Dr. Ben Lynch: So you get a bonus. Shawn Stevenson: And also COMT, is that how that's pronounced? Dr. Ben Lynch: That's right, COMT. So COMT is a really, really important gene that has to do with your estrogen levels, it has to do with your dopamine and your norepinephrine. Are you a person that's really type A, driven, motivated, getting a lot of stuff done, but you're also a night owl and you can't fall asleep and you're quick to being irritable? Or are you more ADD, and laid back, and casual, and class clown, and nit-picking on other people, and you tend towards depression? So this plays a role there. And I definitely want to talk about the MTHFR, and the acronym- it looks like an acronym, and it looks like mother- or like mother f-er, alright? That's what it looks like and it causes the mother f-er problem because this is related to methylation, so this is a methylation gene that has a lot to do with things like depression, and our body composition. So let's talk about what methylation is, and how this gene kind of plays a role in our health. Dr. Ben Lynch: Yeah so MTHFR, it does look like something that you would text someone if you're pissed off, but you know MTHFR, its job is to make the body's number one form of folate, which nobody talks about, and it's called methylfolate. And methylfolate supports methylation, that's why MTHFR in the book is called the Methylation Master, because if you don't have enough methylfolate, your methylation doesn't happen. So alright, so what's methylation? Why does it matter? So -ation defines an action. So 'inflammation' is like when you get swollen, and red, and itchy, and hot, you know? You roll your ankle playing basketball or something, and that's inflammation, it's the state of being inflamed. Methylation is a state of taking a methyl group and passing it to something. It's like a quarterback is throwing the ball to the receiver, and the football is a methyl group, okay? So imagine that MTHFR helps make that football and pass it- you know, get it to the quarterback, and then they send it off. So that football, you know you can get trick plays, and backward lateral passes, and so on, so it can get pretty cool. So just imagine that the methyl group gets passed around, and as it gets passed around it changes the shape and the function of whatever it gets bound to. So if the methyl group gets bound to a gene, it can literally turn that gene off, like it's done. It won't make what it's supposed to make because it doesn't need to, and that's what we want. We want our genes mostly turned off all the time, and we only want them working when we call upon them. And methylation- a methyl group can also turn genes on to tell them- to say, 'Hey let's start going here.' But now they also do something else, and you know, if you take a methyl group and you bind the methyl group to your dopamine, it'll change it to norepinephrine. If you take a methyl group and you bind it to uracil, which is an RNA base, it will change it to thiamine which is a DNA base. So if you don't have enough methyl groups in your body, now your uracil levels can climb up, which is for your RNA, and you're not able to make thiamine for your DNA, and now your DNA is continually getting damaged from the sun, your skin gets burned, now your skin gets damaged, and if you don't have enough methyl groups on board, what's going to happen is that DNA repair is not going to be so successful, and you're going to have a lot of RNA- uracil bases being incorporated into your skin versus thiamine which is a DNA base, and what can happen then is cancer, and skin cancer is on the rise, and for many reasons, but folate has to do with that, and so does methylation because folate is a huge primary component to make methyl groups. And so it does a lot of things, and what you can really quickly do with your doctor to see how your methylation is doing is running a homocysteine test, and a lot of people should be looking at their homocysteine. Shawn Stevenson: But there's some terrain that people need to navigate with this because oftentimes it's being read wrong. So how do we adequately look at our homocysteine? Dr. Ben Lynch: That's a great point, Shawn, because the normal ranges for homocysteine are looking at a very sick population, as you know. So labs get their ranges based upon the averages of 'healthy' people, but you and I both want people functioning at their optimal, at their best. And so if you run a homocysteine blood test, which you should, you want it around six or seven micromoles per liter. So you want that around six or seven. Now standard medicine labs will say that anything higher than thirteen or higher than fifteen you need to start being concerned about. Well if you have homocysteine above thirteen or fifteen, your risk for cardiovascular disease skyrockets. It's a logarithmic graph, I mean it goes straight up. Not straight up, but you know, it follows a nice 45 degree slope from six homocysteine to above fifteen. And so if your homocysteine is sitting around six or seven, your cardiovascular risk is way, way, way, way, way, way down. So why would we want to keep it at fifteen or thirteen, but it's still a risk? I don't. Shawn Stevenson: This is why I wanted to have you on, is to talk about some of these things, because you know, like looking at your bloodwork, the way that physicians are even taught to look at bloodwork, they're not really looking at the fact that it's literally telling a story, right? It's telling a story. Behind the scenes, when you hear something about homocysteine, we're not really relating it to your body's ability to detoxify itself, or this methylation process, and how many things these methyl groups are responsible for. And I love how you laid that out. Another one that folks might have a little bit more of a kinship with, or understand in closer proximity by listening to this show, is the methyl group interaction with serotonin, right? Being a precursor for melatonin. For serotonin to do its thing, it needs that interaction with the methyl group. That's how it is a precursor, and so that's why it's probably called mel- like it's got that methyl part at the beginning. And it's just so fascinating that if this gene, this specific gene is acting dirty, or- and we're not doing the things to make sure that it's doing the job it needs to do, as you said, making sure our genes- ideally they're going to be off most of the time until we need them, and not overacting or acting up, I guess. But it also provides some strengths as well. So let's talk about the strengths that some of these genes carry as well, if they're- I guess maybe are we getting the strengths when they're in balance or when people are just kind of- like their natural state? Let's talk about that. Dr. Ben Lynch: Yeah so it's a great point, and so the genes I look at in dirty genes, they have SNPs in them, and they're varied in function. And when I first started working with these genes, it's like if I noticed that it was different than the usual population, then I immediately assumed it was bad, and scary, and I had it, and it scared the heck out of me, and my kids had it, and it scared the heck out of me. So what was the evolutionary advantage of inheriting these variations? They had to be there. And so there's very little research in discussing these points, but if you think about it here, if MTHFR's job is to produce the body's primary form of folate which is methylfolate, and the methylfolate supports your methylation, okay? And methylation goes and does a bunch of other things, then if it's slowed down then your methylation doesn't get as much support, and then your homocysteine can go up, and all these other problems can happen, you can die of cardiovascular disease. But that's not necessarily the case because if MTHFR is slowed down and it's born dirty, then maybe these people had a bunch of leafy greens in their environment, and they didn't need MTHFR to work so fast because you can get methylfolate from your leafy greens. Well it could be if you're not eating leafy greens, but there's still some advantage because these people were- also where malaria was, was a sunny environment. And you need a different type of folate to repair your skin, and protect your DNA. And so methylfolate doesn't produce your DNA for you. Methylfolate supports your methylation. You need folinic acid which is another type of folate to repair your cells and replenish your skin. So otherwise these people would have been loaded with skin cancer as well. So you have to really understand the biochemistry, but if you really want to dive into it, but I just tell you in the book 'Dirty Genes' the strengths and weaknesses so you don't have to dive down into the nerdy science, which is what I love doing. Shawn Stevenson: Yes, exactly. And so you just laid it out here, when the MTHFR gene is born dirty, some of the strengths that people can experience are more alertness, productivity, focus, improved DNA repair, intensity. But the weaknesses can be associated with depression, anxiety, autoimmunity, migraines, increased risk of stomach cancer, pregnancy complications. So again, it's kind of laid out here for everybody. And one other one I want to talk about a little bit more in depth here that I think is fascinating is the DAO gene, and the strength here is immediate awareness of allergens, and kind of food allergies, and trigger foods, and things in the environment. You know? So let's talk a little bit about DAO. So imagine what pigs eat and what lions eat. Lions will eat dead decaying carcasses, and hyenas, but you know a lion is probably too proud, they're going to get that fresh kill, right? But they're still going to be eating this raw flesh and other- a lot of bacteria they'll be exposed to. And pigs, they eat a bunch of slop and leftovers and fermented foods and high, high levels- very high bacterial content in their foods. And you put them on a ship, they will not get seasick, they won't get carsick. Now if you give- and the basis is the DAO's job is it can process histamine, and decaying flesh, or food that has been around for a long time, sorry for that graphic image, hopefully you're not eating right now. So the longer your food stays, the more bacteria it gets, and the more bacteria that are there, they produce a bunch of histamine. And if you get a bunch of histamine in your gut, it can contribute towards leaky gut, it can contribute to it cramping, it can contribute towards vasodilation which increases blood flow to your brain, which triggers headaches and migraines, sweating, increased heart rate. You can get irritable, you get insomnia as you absorb this histamine, you can get seasick, carsick, you know, nausea from flying in airplanes. And so the job for DAO is to process that histamine. That's its job. And if you drink a glass of red wine especially, there are a lot of amines in wines, and so as soon as you take that sip of red wine, it goes right in your gut and that DAO goes to work and it processes that histamine. If it doesn't process that histamine, oh you get a headache, you get irritable, you're the angry drunk even though you're not that drunk. You might get a nosebleed, you might get faster heart rate, you might get sweaty and hot, you might have difficulty falling asleep at night. So if that's you, you've got a dirty DAO, and what you do about it is pretty complex. It's defined in the book because there's a step wise fashion that you can hit it with. But also I want to plug this as well, Shawn, because this is a huge issue for people; sulfites in wines. 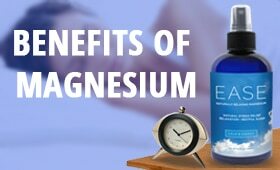 Dr. Ben Lynch: So there's a mineral that people can take called molybdenum, it's very inexpensive, you buy it over the counter and if you take some molybdenum prior to having your red wine at night, that could be a game changer for you. It has nothing to do with DAO, but you know, I just wanted to bring that up because I brought up wine. So DAO's job is process histamine, and histamine has a lot of issues for multiple symptoms that we just discussed as well. Shawn Stevenson: Wow, and you're a spelling bee champ too, because wow, I was like, 'How is he going to spell that one?' And you did it, man. So listen guys, we're going to talk more about what specific things that we can do to start to actually clean up our genes, which is really the heart of this matter, right after this quick break. So sit tight, and we'll be right back. Alright we are back and we're talking with Dr. Ben Lynch, the author of the brand new book, 'Dirty Genes,' and before the break we were talking about what are some of the things we can actually do to clean up our genes? Now the question might be coming up for you through this process. You might have heard out there on the Interwebs about genetic testing, right? So when you think about all of this info, you might be apt to kind of run out and maybe get some genetic testing done. But I want to reiterate that genetic testing has some holes in it, and although the information is often helpful in most cases, it's not necessary, and you talk about this in the book, and millions of us can clean up our genes simply by just following your Clean Genes Protocol. Dr. Ben Lynch: I do want to add, thanks for that. So what can happen if someone orders a genetic test, you know say they order a genetic test and they look for the MTHFR gene on there, they want to see if it's red, or you know, different than it should be, right? So they get the genetic test back, and it shows that it's not, it shows that it's fine, there's no difference in it. What are they going to think? They're going to think it's clean. They're going to think it's fine, but that's just your gene- that's your genetic build of that gene. You don't know if you've got it dirty, so did that MTHFR gene get dirty? You know it wasn't born dirty, but most people who are ordering genetic tests including health professionals have no concept of acting dirty or got dirty. They just look at a genetic test and say, 'Oh your gene was not born dirty,' but they don't evaluate if it can get dirty or you got it dirty. So I want to start with that. So just because if you order a genetic test and you don't see any variation, and you don't see any SNPs they call them, it doesn't mean that you're in the clear. It just means it wasn't born dirty, but they can easily get dirty. Shawn Stevenson: Alright, interesting. Interesting. And so again guys, you do not need to run out and get any of these genetic tests. Again I think we're really still in the infant stages of figuring out how to even do that appropriately and give people the right information. And the same thing goes with like testing for allergies. Like sometimes we can get led down the wrong path and believe like, 'I can't eat garlic ever again. I've got an allergy to it,' or whatever, and it could just be a temporary thing, your body is having a reaction. Maybe it's a positive reaction, but it's not getting read properly by the data that you're getting back. So just be mindful of that, and- but we all can imbue and take on some of these features that he talks about in his Clean Genes Protocol, and so that's what I want to talk about now. So some of the key areas that we need to address to clean up our genes, let's start with diet first. What are some of the insights that- and again, this is going to be more detailed in the book of what specific things you need to look for, but let's get into a couple of general features of things that we most likely want to avoid, and some of the things that we want to incorporate to clean up our genes. Dr. Ben Lynch: Yeah and there is variation in the diet, according to your genes and how you score. There's a quiz in the book you take, and the quiz will determine kind of how you should be eating as well, which is cool because there is no one diet for everyone. You know, Paleo isn't for everyone, GAPS isn't for everyone. But the Clean Genes Protocol regarding the food is I really like the importance of something that is being picked up more and more these days, as you talked about the Interweb on YouTube, and that has to do with intermittent fasting, or time restricted feeding. And what this means is basically don't eat all the time, and if you go back and look at our ancestors, you know, we didn't have refrigerators and lights and couches to sit on and just reach over and open the door and grab a Coke and some French fries. You know, we had to go and harvest our food, and we would go and harvest our food and we would prepare it, and then we would run out of it. So if you run out of your food, that's okay because your body has fat. It naturally has fat around the abdomen and other areas, and that fat is your long-term fuel source. Well it's fuel. It's fuel to keep you from dying out in the tundra that you were living in many moons ago, or your ancestors were. So if you intermittent fast, and that means it's easy, you know? Just try twelve hours. So stop eating at 7:00 at night, and don't eat breakfast until 7:00 the next morning. Now that's pretty easy. Start there, just start there, and if that helps you, great. If you handle it, great. If you do well from it, try to stretch it a bit. Try stop eating at 6:00, and then expand it each hour. Think about okay, if your body is in tune, you should be able to do that. Now have I eaten today? I have not eaten yet today. I ate last night too late, I finished eating at 8:00, but it's probably around ten or eleven- it's probably around 10:00 now, and I'm feeling absolutely fine because my body is burning fat around the middle, and yes I've got a couple extra pounds I want to shed, but I'm burning that off right now. Shawn Stevenson: That's fascinating. We just actually did a show with Ori Hofmekler whose- one of his kind of classic books is 'The Warrior Diet,' and he's one of the people that really pushed into public consciousness the intermittent fasting concept, and looking at the research. And so we'll put that in the show notes if you guys happened to miss it, and also I did a show a couple years ago on all the benefits of intermittent fasting. And what he just described is a great- just like a simple twelve hour window, and what that allows us to do going back to talking about methylation, these methyl groups to do jobs that are more- they can't get to if there's constantly food coming in, you know? And your body has to work on that, and different genes getting expressed. It can kind of actually do some deeper cleaning when you give yourself a little bit bigger window. And you could extend that out. You know, twelve hour window, sixteen, but I think twelve is like that sweet spot that we can all kind of shoot for. And it's just one of those things like just don't eat Cheetos, you know? When you're watching Netflix at 10:00, you know? So that's one of the pieces with the diet, and I didn't know you were going to actually bring that up. So what about- and you've mentioned this several times already, this conversation about folate and how important it is. But what about folic acid, right? Folic acid. It's not the same thing. Let's talk about that. Dr. Ben Lynch: That's fingernails on the chalkboard to me. Folic acid- you know when my wife got pregnant the first time way back in 2000, first thing I did was go to the supplement store and buy an 800 micrograms of folic acid. That's what I knew, that's what I was taught, that's what the media taught me, and that's how I reacted. And I did it, I was a good boy. But what I've learned is, is folic acid was synthesized by humans because we stripped the natural folates from the foods that we're eating, and we did that because we wanted the breads and the grains to stay on the shelf for a long period of time. So this folic acid is very similar to our body and what it will use, but it's lacking something, Shawn. It's really big. Folic acid will do its job kind of, not really, what's it's lacking is a methyl group. And we talked about already how important methylation is, and we talked about that our body's number one form of folate is methyl folate, and folic acid doesn't have a methyl group, right? That's fine, the body will just stick one on it. Well it won't stick one on it. If you have a lot of genes in that folate pathway that are messed up, like your methylation master, like the MTHFR gene, you can't put a methyl group on that folic acid like that. It's not simple. So- and there are many, many women who are struggling with this, and I've researched this for many years, and folic acid is a problem. It's really dirtying our genes. And I've taught a lot of things, the number one thing that came out over and over again- there was many, but one of them that stood out by a big margin was removing folic acid from their diet. Shawn Stevenson: Interesting. Interesting. And to get that feedback, and how it improves people's health. This was like- and I went in and looked at this a little bit more, and looked at some of the stories, and I think that this one thing for a lot of folks can actually make a big difference if they avoid that in their different supplements and that kind of thing, and stop blocking the action of folate, you know? Basically by utilizing this kind of sub-par synthetic version. So wow, that's really good stuff. Now I want to shift gears. So we talked a little bit about diet- and again, everything is kind of laid out in the book, but some of the other things we need to do to clean up our genes has to do with exercise. So let's talk about some of the prescription as far as that's concerned. Dr. Ben Lynch: The prescription for exercise is to do it at your comfort level in moderation. You don't need to buy all the expensive clothes, and you know, prepare for a Tough Mudder, or a triathlon, or an Iron Man. You know, you just go out and move. And if moving for you is walking through a forest, or rowing on a kayak, or paddle boarding, or walking your dog, that's fine. Go for it, do it, but just move. And I've got an Oura Ring that I like to use, in fact it's charging right now, but you know that tells me to- if I have the Bluetooth on, which I don't because I don't like having the Bluetooth on all the time, but it's basically just to get up and move every hour, and just do something for just a couple minutes. You know, drop and give five pushups, or walk around the living room, or if you drive to the store, park in the parking spot that's far away from the front door and walk to the main entrance, and then carry your groceries that distance. So just get some movement in that's comfortable for you. I am more along those lines and I've interviewed a number of prior elite athletes as well, and they talk about how over-training is actually pretty- I don't want to say it's more harmful than undertraining, because I don't know if it is or not, but maybe in some individuals it is. But over-training can be pretty bad, so just do it to your comfort level, but just move and do what you enjoy. Dance, you know? Shawn Stevenson: Got it. Why does this movement matter for cleaning up our genes? Dr. Ben Lynch: Movement increases blood flow, it increases oxygen delivery, it increases nutrient delivery, it increases waste removal. So if we're moving, then we're stimulating the NOS3 gene, and NOS3 supports nitric oxide, and then we get increased vasodilation, and with the vasodilation we get increased blood flow. And again, with that blood flow we've got what's in blood. We've got vitamins and minerals, we've got proteins, amino acids, we have our immune system in there at times, we've got oxygen to deliver to where it needs to go. And if you're not moving then you could be getting cold hands and feet, you could be getting ulcers in your toes if you're a diabetic. Your vision could go down, your brain- your cognition could go down. Lack of oxygen is a big one. I'm sitting here right now feeling just a little bit dumb because I haven't moved enough this morning. Maybe now it's time for me to eat as well. And so I always tune in. It's like, 'Okay, am I starting to get a little bit dumb?' That's my sign that I need to go eat or go move. Shawn Stevenson: I love it. I just immediately thought of Lloyd Christmas from Dumb and Dumber, and then you start to like see Lloyd Christmas coming out of Dr. Lynch. I love that. So another thing here with exercise that I want to point out, everything he just said, he did not say abs, alright? He did not say exercise so that you can get some bulging biceps, right? You get all these other benefits, right? All these other benefits that will keep you happy and healthy for many, many, many years to come. The other stuff is a side effect, right? It's a side effect of just simply doing the things that help to keep you healthy, and to help to keep your genes clean. So let's shift gears, let's talk about sleep. You know? 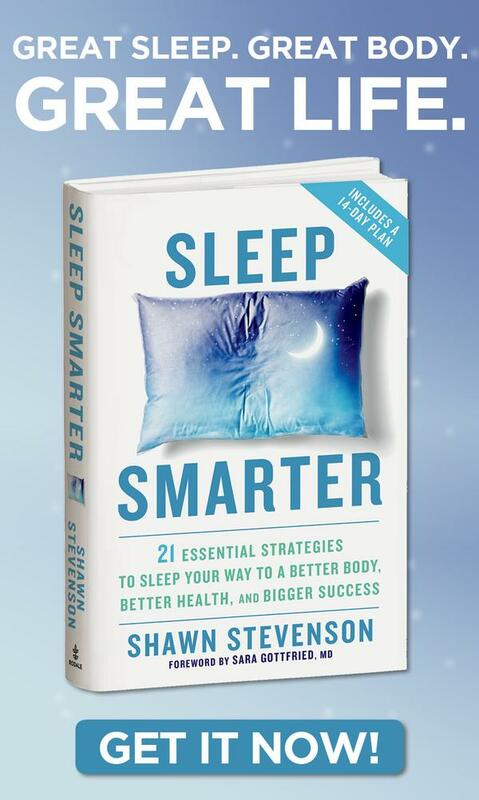 And I talked about this in my book 'Sleep Smarter,' how our sleep is one of the biggest epigenetic influences that there actually is, and so many people have no idea about this. So why did you put sleep and kind of attention to that in the book? Dr. Ben Lynch: Well you know, I scanned through your book, and I want to read it cover to cover, and it's very well laid out, and some good tips in there. And I would have to say that sleep is something that I'm still working on in terms of my deep appreciation for. But I already know that it is really, really important for me. I know it's a huge difference in my performance, but sleep is the time for cleaning. Sleep is the time for building. Sleep is the time, as you talk about, for our growth hormone to come out and help our little boys and girls grow. It helps us repair our tissue. So if you go out, and you work out, and you train and you lift weights, you need that growth hormone at night to repair, and synthesize, and produce those muscle fibers that you want so badly, and regenerate the tendons and ligaments for you. If you're not sleeping, that growth hormone is not being produced, and that's a big issue. Sleep is also the time for cleaning out all the garbage that's in your brain. It's like defragging your computer, right? So you know, you get a PC, you run the disk cleanup, or the disk defrag, that's what sleep is for you. And so if you're not getting your deep sleep, or your REM sleep, your brain is just filling full of nonsense, and then you try to work the next day and you're working but you're not really performing at your best. So there's many, many things with sleep here, and I will say too that there's some colleagues of mine who've looked at sleep in terms of Alzheimer's and dementia, and they say that it's hands down the number one thing to reduce your risk of dementia and Alzheimer's is to get adequate effective sleep. Not hours in bed, but effective sleep. And dementia is everywhere these days, and so is Alzheimer's. Shawn Stevenson: Yeah. Yeah, it's very sobering, and I'm so glad that encapsulating this information in different forums and different platforms like the one that you have in the discussion of genes is just pointing more and more people to this information, and I just really appreciate that. Another thing, and this is the final thing I want to talk about, is as far as something we need to pay more attention to that can help to clean up our genes, and this is something more so we want to be mindful of, and potentially if we can avoid, and that's the chemical load, right? The kind of synthetic toxic chemicals, just millions of tons that are introduced into our environment that's very different from how we evolved that we're exposed to today. This is why we would see today so much more, what you call, dirty genes, is the stuff that we're exposed to. So let's talk a little bit about that. So there are genes that get dirty that reduce your ability to fall asleep, and there are genes which reduce your ability to stay asleep. And if you have that combination where you finally fall asleep but you wake up, that's a double whammy, that's double dirt. So you take simple quizzes in there, and you can figure out which genes are dirty, and then I have insights for you of how to clean those up. And those have to do with COMT and MAOA which we discussed earlier for your dopamine serotonin norepinephrine. So I just wanted to throw that in there too, and histamine can also keep you awake from dirty DAO. So- and so can high homocysteine food, dirty MTHFR. So we hit all these in there for you, so if you're thinking, 'I know sleep's important but I can't fall asleep or I can't stay asleep,' I've got your back. First they stay pervasive in the air here for half the day, and I have to sit here and smell it while you're gone. Shawn Stevenson: Drakkar Noir, Cool Water. Dr. Ben Lynch: Oh yeah, it's just they're everywhere. And so you know, yeah they're everywhere. And you know that. I mean it's in your toothpaste, your hair gel, it's in your water, it's in your food, it's in the air. You go for a walk and you get hit by car exhaust, or second hand smoke, or your neighbor is pumping out all those perfumes from their dryer vent. Can't stand those things. So you're just getting hit left and right constantly, and what is it? What happens? It goes into your nose, down in your lungs, and it gets spread out into your entire system within seconds. And who deals with that? Your genes do. Your genes deal with that, and so if you've got a gene which we talked about, one of the Super Seven, which is really the Super Eight because of the combo of GST/GPX, of glutathione, then your glutathione genes are dirty. And there's a lot of other genes too that have to deal with chemical burden and toxicity, but glutathione is a big one. It's your master, and so to make glutathione is difficult. January or December, that's the time to go detox. No, or spring is the time to detox. No, my number one tip is to avoid them, and gain awareness, and don't think that a little bit is okay. We're talking parts per billions here make an impact. So you know, I think it's like a quarter of a teaspoon or a half a teaspoon of estrogen is found in all the women living in the world, or in America. I mean we're talking a quarter teaspoon. I mean we're talking parts per billion making an impact, so chemical can do a lot in your body. Shawn Stevenson: Thank you so much for sharing that, and just kind of- again everybody, looking at things that we can do, especially in our own little micro environments that we create ourselves, and the choices that we're making with our food, and with the beverages that we're purchasing, our personal care items. It's just reduce- you don't have to be neurotic about it, but just reduce that toxic load as much as you can, because please know that everything, all of this stuff is affecting your genetic expression. Everything. Alright so I've got one final question for you, and thank you so much for sharing this information. It's been incredibly enlightening. I would love to know what is the model that you're here to set with the way that you are living your life personally. Dr. Ben Lynch: I would say moderation. I would say that understanding that every action that you take and every action that you don't take- so whether you do or don't do is making an impact on your genes. So all throughout my day, I evaluate how I'm feeling. And all throughout my day, I will make decisions just as you do. And sometimes I make decisions which dirty my genes. I overreacted when my son sprayed cologne, I dirtied my genes, and he dirtied them as well from the cologne. But I knew that I can clean them up. I went for a few mile hike afterwards in the forest, and fresh air, and birds, and trees, and it was amazing, and I calmed down. So just know that how I live my life is through moderation. I'm not a stickler. I mean, I had some sugar covered popcorn yesterday with chocolate on it. Yeah I dirtied my genes, but hey, it's okay. It's fine, you know? So just everything in moderation, and just be aware that your body has work to do if you give it work, and then give it some love after you dirty it a bit, and you deserve that, and so do your genes. Shawn Stevenson: Perfect. 'Dirty Genes' is- when this is getting released, it's coming out very soon, so we've got some pre-order gifts for folks. So where can they find your pre-order and the bonuses that they get for getting 'Dirty Genes'? Dr. Ben Lynch: Yeah, thanks for that, Shawn. So 'Dirty Genes' is available- it's being released on January 30th at all bookstores mostly, and online, and very many places. So you can go to www.DirtyGenes.com and there's links down there to Indie Books, Indie Bound, Barnes and Noble, Amazon, and others, and you click those links to take you to those bookstores. Or you can just go to Amazon or Barnes and Noble or Indie Bound yourself, and then you can go to www.DirtyGenes.com and you enter your order ID, your email, and we send you some bonuses. So these videos are important because it gives you a real understanding of how genes work, and what they're doing for you, and it's very simple. And so I did that, and it's called 'The ABCs of Clean Genes,' and every letter stands for a word or a couple words. A for 'Avoid,' that we talked about. B for 'Breathe.' C, you'll have to find out. So- and you can get that from pre-ordering the book. Shawn Stevenson: Perfect. Dr. Ben Lynch, thank you so much for sharing your gift, and for your experience back in India, and that life shift, and looking into things, and viewing the world through a different set of lenses, and bringing that information back to us, and helping your patients, and creating great work for all of us to enjoy. Thank you so much. Dr. Ben Lynch: My pleasure, Shawn. I hope that served you as well. Dr. Lynch has been doing this for quite some time, and again, this is something I've been passionate about for a very long time, looking at the field of nutrigenomics, and how being a nutritionist myself, how each morsel of food that we eat impacts our genetic expression. We're only scratching the surface on how much we know, but please know that food matters significantly. We can literally change our health with each bite that we take, and it's incredibly empowering, you know? And again, we get to have fun. It doesn't mean that we're having a lack of fun, alright? But this does mean that we can take a little bit more accountability on the outward expression of what our health looks like, you know? Whether or not we're winding ourselves up with a disease that's totally preventable, you know? Like Type 2 diabetes, for example. And one of the things we can kind of look at to reverse engineer those things and hopefully in most cases prevent them in the first place. That's what this is really about, and this is the information that I want to really push forward into the show because prevention is just- that's really where we want to point our attention to. Not treating symptoms, not trying to fix problems, but let's not put ourselves in the position where we're dealing with this stuff in the first place and becoming a burden in our own lives, and to our families, and our society as a whole by being more empowered in the choices that we're making. And the last thing I asked him about was the kind of harmful load of toxins that are in our environment today, and please understand, you know it's just it is what it is. It doesn't mean that you need to create like a hyperbaric chamber or whatever and get your Michael Jackson on every day trying to sleep. You don't have to do that. I don't even know if it works, I don't know if it's true, alright? It's one of those tabloids probably. But you don't have to try to hide from the world. It's not about that. Your body is incredibly resilient at handling this stuff, but we do want to be mindful to not over-expose ourselves for no reason. So make a decision to buy food that isn't treated with toxic chemicals, you know? Pesticides, and herbicides, rodenticides; many of them are literally classified as carcinogens, or xenoestrogens, and estrogen disruptors, and things of that nature, right? So that and also getting fresh air, you know? Especially during the wintertime. It's wintertime for a lot of folks during this time of year, and not just being cooped up in our building. Crack a window! Alright? Let some fresh air in every now and then, or just get outside and get some fresh air, alright? Instead of the kind of processed recycled air that we're breathing, you know? Same thing with our drinking water. We did a master class, you guys better know this, episode 73 which is a classic episode. We'll put that in the show notes. Gave you a master class on water and hydration. And of course the personal care items, we just did an epic episode on that as well, which I'll put in the show notes for you too. On that note guys, make sure to pick up a copy of 'Dirty Genes,' get some more information, and please know we've got some incredible shows coming up, incredible show topics. We're going to crush it this year, alright? Are you ready? Are you ready? Take care, have a great day, and I'll talk with you soon. In my case, this discussion needs to be simplified or dumbed down to be understood. You have studied this area and are very knowledgeable but I am not . What I did understand was everything in moderation.